Stand Up Paddle.....Arenal Lake´s best new activity! 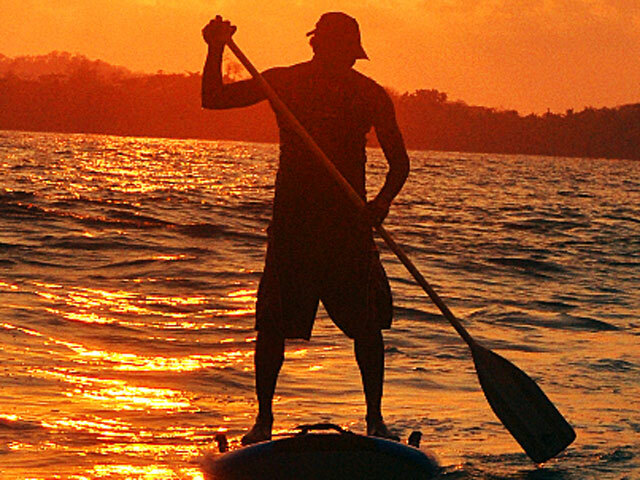 SUP, as it's called for short, has its roots in ancient Polynesia and looks exactly as it sounds: you stand up on a large, wide, super buoyant surfboard and paddle yourself forward with a long paddle. The great thing is you don't have to wait for the waves -- you can SUP on lakes, rivers, pools and any other large body of water. For that reason, it's attracted all types of paddle enthusiasts -- young and old alike! "Our clients love this new sport because it can be done anywhere," Desafío Adventure Company owner Suresh Krishnan explained. 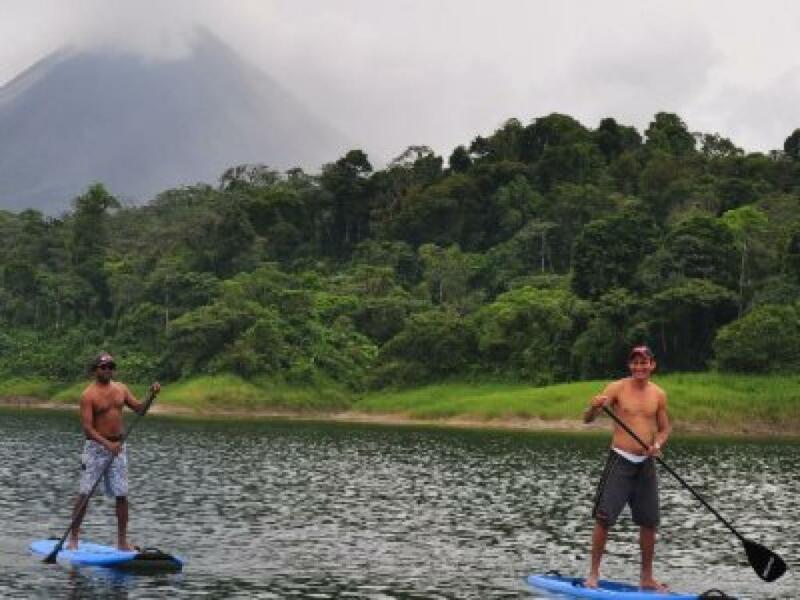 According to Krishnan, his clients take the skills they learn in Costa Rica and apply them to the sport back home after their vacations. "It's a great workout for your core, builds balance and is less daunting and more consistent than regular surfing," said Krishnan. 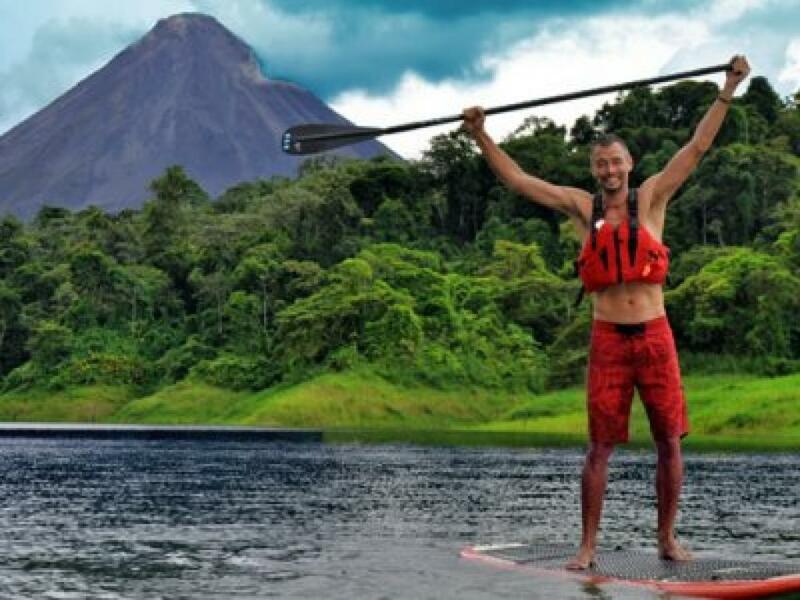 Be a part of this exciting new trend and learn how to SUP and take a SUP tour with Desafío Adventure Company -- from Lake Arenal to the gorgeous Pacific Coast of Playa Samara. 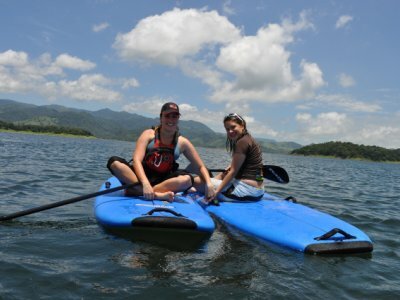 Get your exclusive, introductory SUP lessons from the only SUP outfitter in the Northern Zone. 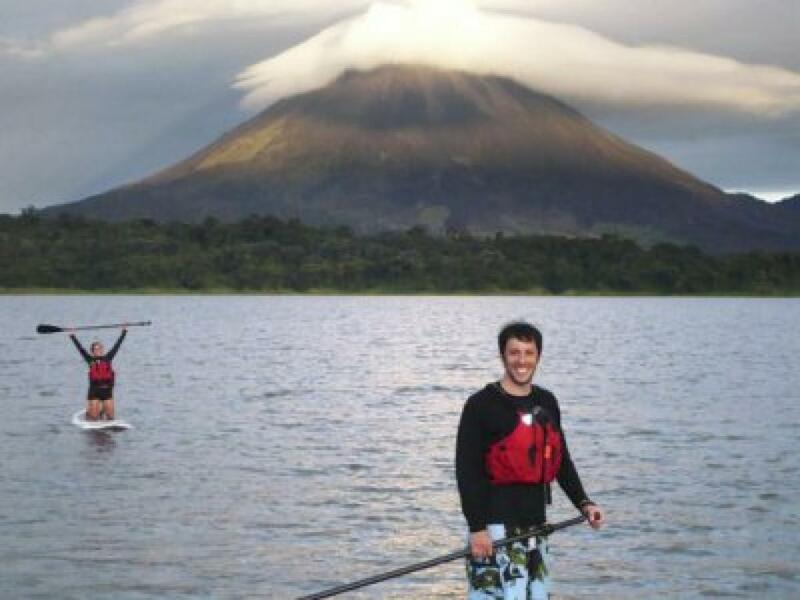 10:00am Your instructor will then take you on a tour of the West-end of the lake while you paddle along and you'll get excellent views of the behemoth volcano in the background. Awesome picture-taking opportunities. Learn about the interesting flora and fauna of the area. Enjoy a tropical fruit snack and drinks. If you're heading to Playa Samara and Playa Carrillo, we provide free transport when you purchase a SUP lesson on the beach. Recommended for Children 7 and Over. For tours today or tomorrow please chat with us. Recommended ages 7 - 77.